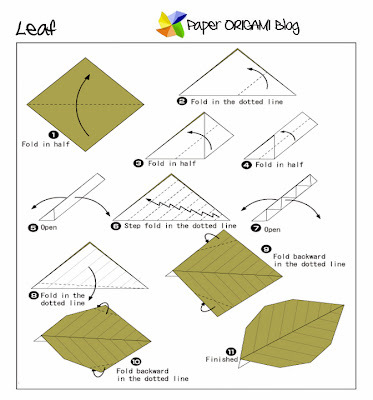 Leaf Origami - If you want to learn this simple origami just follow the diagram below. 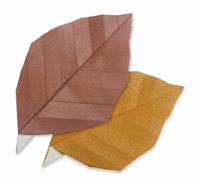 Making leaf out of paper is good decoration, personally I am using it for my bulletin board. I use leaf origami as a design, you can use it also on other origami like flowers to make it more real. Enjoy this post! If you want to learn more about origami click on the the gallery at the bottom.